Upcoming Kasautii Krishna Star Plus shows. Shivani and Bela make an evil plan against Krishna to humiliate her and break her confidence. They want Krishna to get ashamed and leave from Veer’s life. Bela plans Krishna’s wardrobe malfunction and tells Shivani that this plan will never fail. Shivani finds Krishna cherishing her memories with Veer. She gets angered. Krishna reminisces Veer and feels happy about his love. Shivani and Bela mislead Krishna so that their plan stays safe. They get Krishna to the party. Krishna goes to meet Veer. Nayani and her husband Shashank meet secretly and discuss about Veer and Krishna’s relationship. Nayani expresses a wish to unite Veer and Krishna. Cute moments are created between Veer and Krishna unknowingly, which helps Krishna realize her love for Veer. Veer wants to keep everything as per Krishna’s choice. He wants her to understand that she will be his wife. 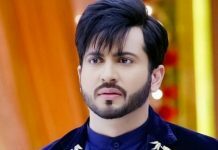 He doesn’t want to marry selfish Shivani. Shivani shows her swag once again by performing in the Sangeet for Veer. She then asks Krishna to dance in the party. Veer stays distracted because of Krishna. He realizes Shivani’s plan when he witnesses Krishna’s wardrobe malfunction. Veer saves Krishna’s respect like being her saviour all the time. Krishna gets touched by his gesture. Her feelings for Veer begin to get clear. Shivani loses her cool and wants to slap Krishna for getting close to Veer. Veer takes a stand for Krishna once again and shows Shivani her place. Shivani expresses her pain to Sunaina. She wants to know why is Veer faking the marriage drama when he doesn’t love, respect and trust her. She tells Sunaina that Veer is hurting her a lot this way. Sunaina wants to get answers from Veer. Veer finds his love hurting Krishna and decides to sacrifice his love. He frees Krishna and tells her that he will not compel her to realize her feelings. He leaves the decision on her. Veer finds Krishna at Shivani’s target again and risks his life to save her. Krishna realizes Veer’s true love. Anurag and Prerna come closer while playing Holi. Komolika has no idea that they are together. Mohini learns that Anurag has gone to meet Prerna. She wants to confront him. Anurag hides with Prerna, so that Mohini doesn’t insult Prerna. Mohini gets busy with the guests. Anurag is worried for Prerna’s safety and wants her to leave the house. He is scared just for her life and happiness. While their cute banters go on, Komolika gets a chance to humiliate Veena and Shivani. Prerna isn’t aware of her family’s arrival. Komolika, Nivedita and Mohini get into a heated argument with Veena with an aim to oust Prerna from their house. Mohini tells Veena that she will never accept Prerna as her bahu. She wishes Prerna to leave from their house, so that their holi can get peaceful. Veena wants Prerna to fight for her rights and stay strong. 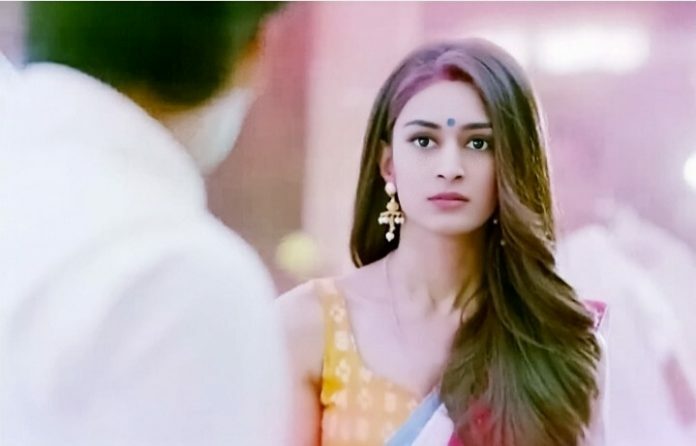 She wonders how Prerna is bearing the hatred and humiliation by Mohini. Veena calls for Prerna to finish the holi rituals. Mohini warns her to get away before she loses her temple. Komolika gains sympathy from Mohini. Anurag fears that Komolika might see him with Prerna and then plan something to harm her. He doesn’t want Prerna to face troubles because of him. Anurag makes a bad image of himself in front of Prerna to break her heart.